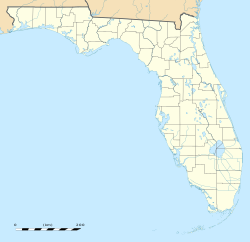 Rattlesnake is a neighborhood located in the South Tampa district of Tampa, Florida. The estimated population stands at 488. Rattlesnake is located at latitude 27.889 north and longitude 82.524 west. The elevation is 3 feet above sea level. The median income for the neighborhood is $37,948, which is above citywide average. In the neighborhood the population was spread out with 22.2% under the age of 20, 43.5% from 20 to 39, 23.3% from 40 to 59, and 11% who were 60 years of age or older. Rattlesnake is served by Hillsborough County Public Schools, which serves the city of Tampa and Hillsborough County. This Tampa-related article is a stub. You can help Wikipedia by expanding it. This Hillsborough County, Florida location article is a stub. You can help Wikipedia by expanding it. This page was last edited on 16 January 2018, at 20:14 (UTC).